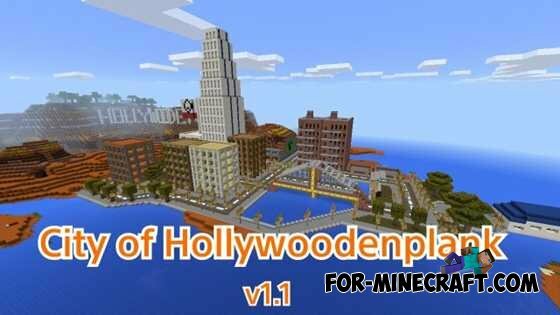 The map consists of two different cities: the city is the largest Democratia and other city - Hollywoodenplank little less. 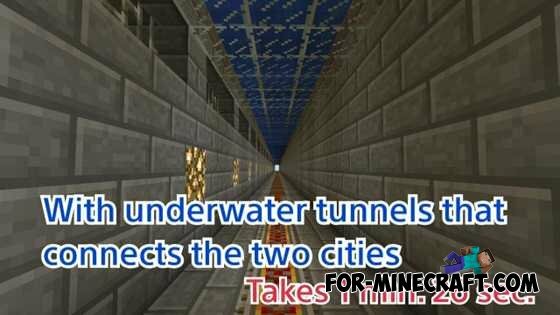 Both cities are connected by the underwater tunnel, which can be performed using the trolley. Estimated travel time is 1 minute and 26 seconds. In the city there are many Democratia realistic buildings, including hospitals, homes, churches, libraries and universities. The city is built in Mesa biome, so destinations rather deserted. In the city of hidden treasure 4, try to find them! 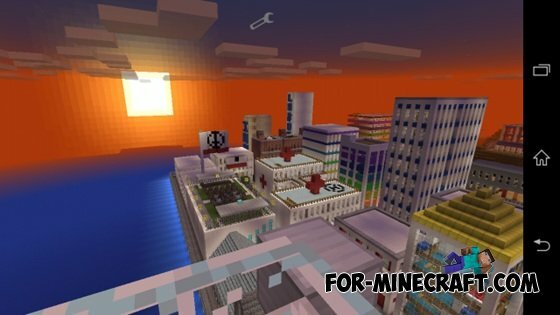 Map is compatible with Minecraft PE 0.10.0. Wow bernard u piece of crap, u just stole another person's idea. The map was originally made by minecrafterian, who is my friend. Stop stealing ppl's idea u jerk. Is it okay if I change this map and share it?